Last year, I wrote about Geniatech working on getting official Android TV support for ATV495 Max and ATV598 Max set-top boxes with Google Play GMS certification. The certification for the Amlogic S912 model with tuner (AT598 Max) is still being worked on, but the good news is that Amlogic S905X based ATV495 Max has now received Google’s Android TV approval. Video Codecs – VP9 Profile-2 up to 4K @ 60 fps, H.265 MP-10 @ L5.1 up to 4K @ 60 fps, H.264 AVC HP @ L5.1 up to 4K @ 30 fps, other codecs up to 1080p60. The box runs Android TV 7.1, and ships with a user manual, a HDMI cable, a power adapter, and an IR remote control with voice function by default. That means the device will now support features such as Google voice search, Google Cast, and TV versions of apps such as YouTube, Hulu, Sling, and more. The product page also links to a specification sheet that shows Leanback launcher or other custom launcher can be implemented into Android TV. There’s no mention about DRM or apps like Netflix however. I asked Geniatech if they had any documentation or link from Google showing certifications, but yesterday, they told me they only got a email from Google, and asked if they had any document, but no feedback so far. 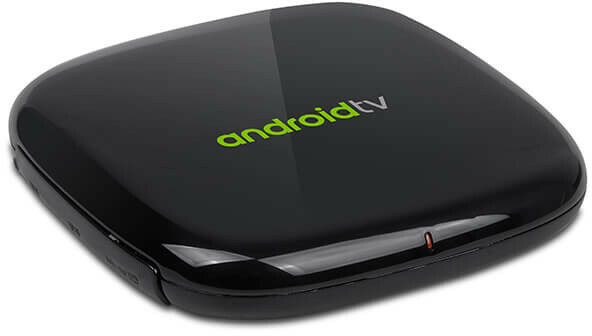 ATV495 Max is however listed with other OEM devices on the unofficial list of Android TV devices. I found one thing misleading at their website and it is about Dolby Vision, since S905X support only HDR 10 and HLG? How would you say is this box, specswise compared to the Xiaomi Mi box? HDR sound spromising. How about Netflix HD support? That’s a bad joke. Second false alert? They told me they received an email from Google that confirms approval. Do you mean for ATV598Max? No, I’m not joking. Based on internal information, they will have Netflix 4K ESN in January or February. I’m not sure if this is for ATV595Max or ATV598Max. This can be only confusion. We got official note from Google that 495max is approved, but by NDA, we can not show it to others. ATV598Max with tuner is now Android TV certified too.